The site at Northport Industrial Park is comprised 2 parcels of land totaling 25 acres, with room for expansion to the West of the property. Utility and Fiber infrastructure relevant to data center use all currently in place proximate to the site. The Mankato-North Mankato MSA has a population of nearly 100,000 and is home to five higher education institutions with a combined annual enrollment of 26,000. The Benton County site offers 121 acres for development 1 mile south of MN Highway 23 and 2 miles north east of the St. Cloud Regional Airport with multiple fiber optics providers offering available infrastructure within a mile of the site. The site is partially flat with no known impediments to development. 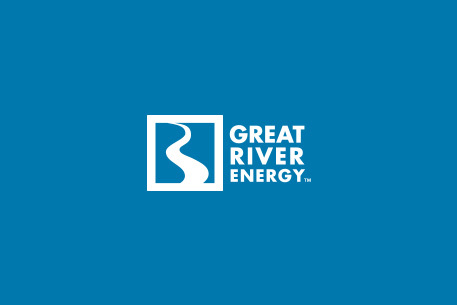 The site is owned by Great River Energy. Site has 450+MW available with transmission and distribution substations on site. The 8th Avenue site offers 23 acres of development immediately adjacent to I-94 with multiple fiber optics providers offering available infrastructure within a mile of the site. The site is flat with no known impediments to development, however, confirmation is needed through formal studies for geotechnical, wetlands and Phase I environmental review. The site consists of four parcels, owned by the Economic Development Authority of St. Cloud. The County Rd. 75 site offers 80 acres for development ½ south of I-94 interchange with multiple fiber optics providers offering available infrastructure within a mile of the site. The site is flat with no known impediments to development. The site is owned by the Economic Development Authority of St. Cloud. Site has 5MW available with additional capacity available via upgrades to nearby substation. The Interstate South Logistics Park in Lakeville offers roughly 125 acres of development-ready land within a premier south metro suburb of the Twin Cities. Utility and Fiber infrastructure relevant to a data center are all adjacent to the site. The site is located 3 miles east of Interstate 35 at the intersection of 215th Street and Dodd Boulevard. The Lakeville Commerce Center site in Lakeville is roughly 19 acres however due to the presence of wetlands across the southern portion of the site, it is estimated that perhaps12 acres of developable area exists. Utility and Fiber infrastructure relevant to a data center are all in close proximity to the site. The site is located 1,500 feet west of Interstate 35 at County Road 70. The site in Cannon Falls is just over 20 acres of flat, development-ready land with lots of room for expansion –nearly 100 acres to the north and east. Utility and Fiber infrastructure relevant to a data center are all proximate to the site. The City of Cannon Falls is conveniently located on Highway 52 between Minneapolis/St. Paul and Rochester in Southeastern Minnesota. Proposed Site Identification / Delineation Proposed property must be a greenfield site of at least 20 acres in size, as demonstrated by an ALTA survey conducted within the past 5 years.